Save these gems for the day when you’re ready to make that dream trip to Europe. It’s summertime, and our Instagram feeds are blowing up with stunning photos of winding cobbled European streets and pretty alfresco meals. It’s fueling our wanderlust and giving even the biggest homebodies among us a serious case of itchy feet. 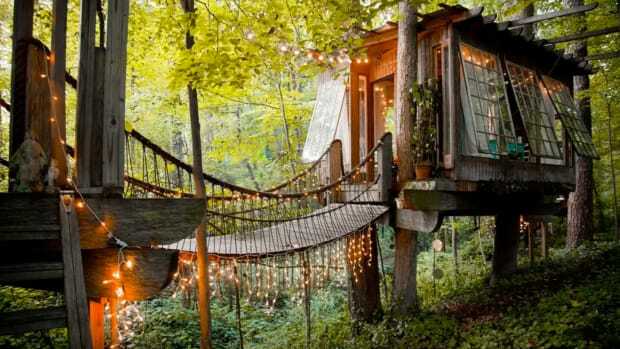 Whether you’re one of the lucky ones planning a trip to Europe, or you’re simply daydreaming about your ideal getaway, these Airbnb beauties deserve a prime spot on your travel bucket list. Pin buttons at the ready—you’re going to want to save these ideas. When you think of Parisian apartments, does shabby chic, exposed beams, a view of iconic haphazard rooftops, and perhaps a spiral staircase come to mind? Thought so. 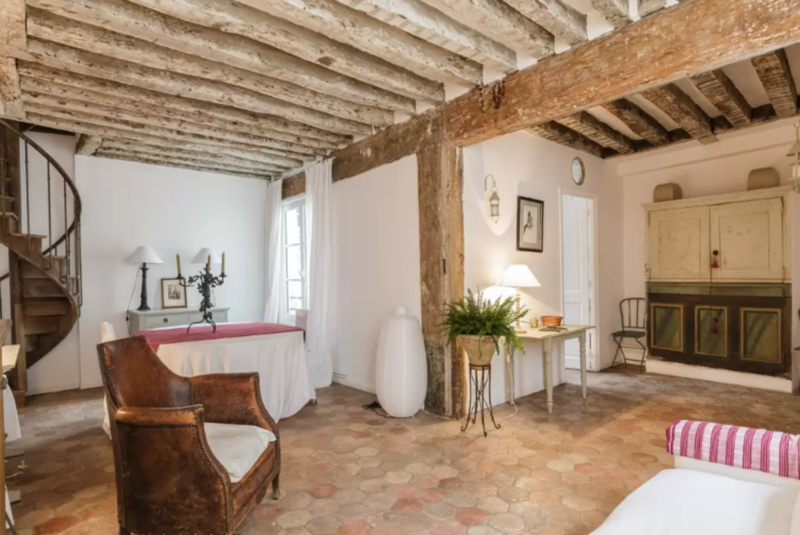 This idyllic flat is in the heart of the arty Marais district on the right bank, a stone’s throw away from the fairytale-esque Place des Vosges and easy walking distance to the romantic Ile de Saint Louis on the Seine and the famous Notre Dame cathedral. For those in the know, the Marais and Bastille district are less touristy than Saint Germain or Montmartre. Young locals flock to the area for the great bars and restaurants. This apartment offers a lot (for a much better nightly rate) than a hotel so close to the center of the City of Lights. As a born and bred Londoner, I’m always surprised when visitors don’t go to Notting Hill, one of my favorite areas of the city and a truly iconic and fun place to visit (it’s not just for Hugh Grant fans). 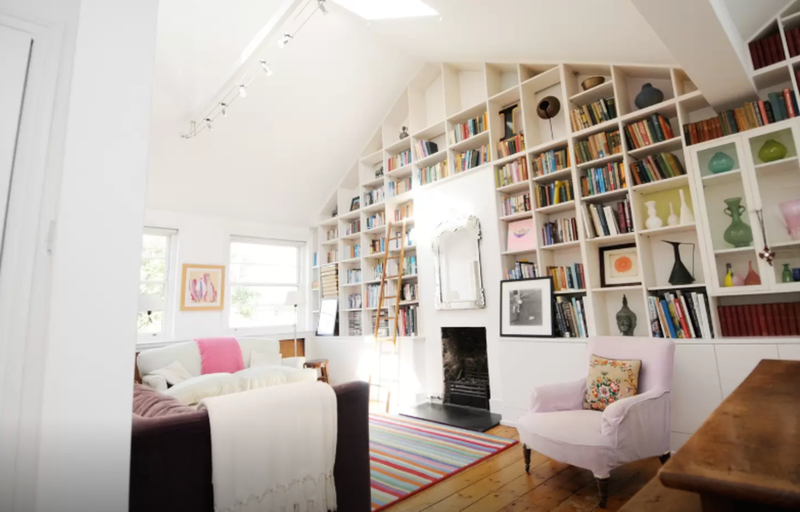 This sunny loft is in a typical old West London white stucco building, right in the heart of Notting Hill. Perfect for vintage clothing and food lovers, it lends easy access to the bustling Portobello Market, as well as countless fun vintage boutiques, bars, pubs, delis, and restaurants. With the nearest tube station a mere five-minute walk away, this loft will get you into central London to see Covent Garden or Big Ben. Yet you also have the options of a quiet picnic in your back garden (communally owned by those who live in the building). 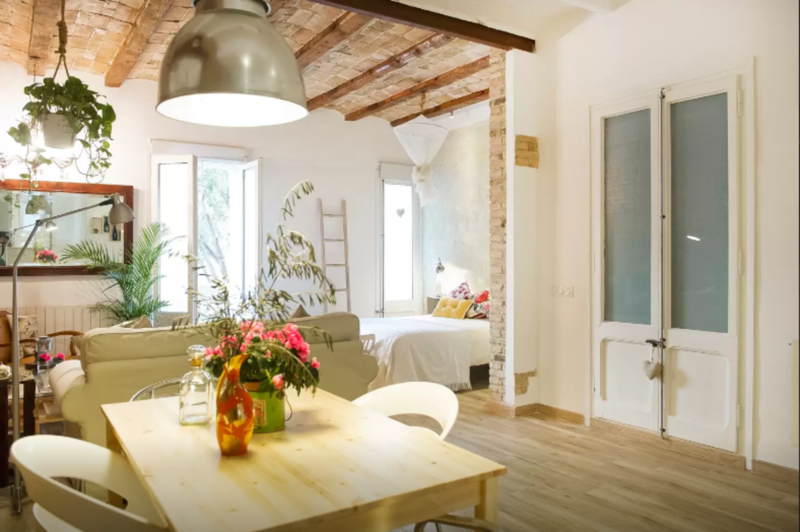 When in Rome, live like the Romans in this gem tucked away in a quiet street near the San Pietro train station in central Rome. 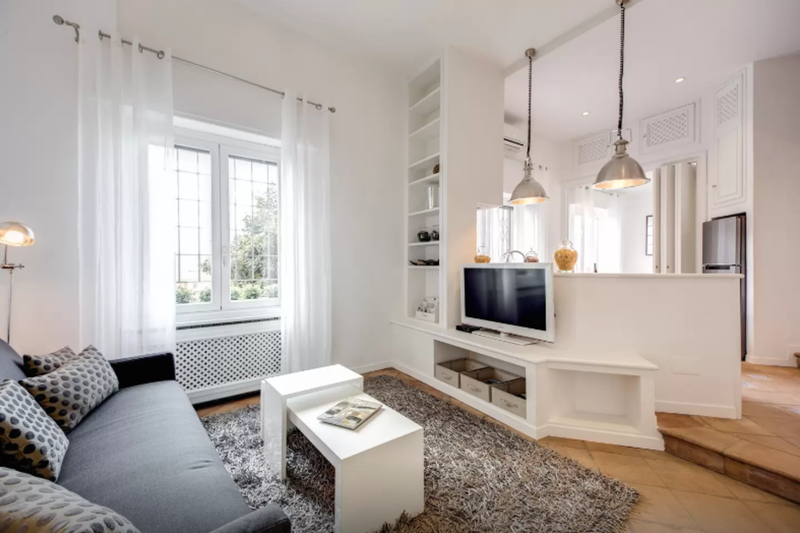 Within easy walking distance of Vatican City and St. Peter’s Basilica, this apartment has the best of both worlds for the tourist who wants to indulge in the eternal city and enjoy a more laid-back stay in the comfort of their own home. Pick up some fresh local ingredients and try your hand at Italian cooking when you just want to stay in to enjoy a glass of wine alfresco on your private balcony overlooking the rooftops of Rome. Airbnb is the best option when visiting Venice because the hotels (and everything else) are so expensive in this canal city. 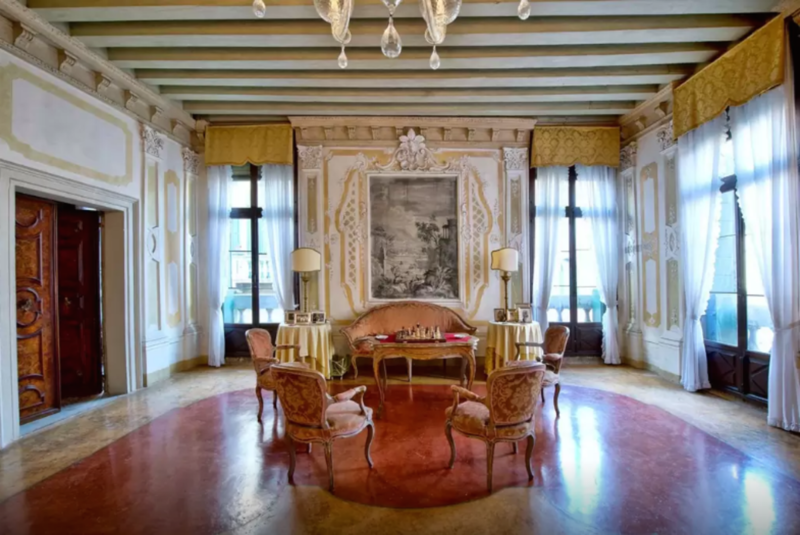 Why not stay in a wing of an authentic seventeenth-century palace like this grand beauty? 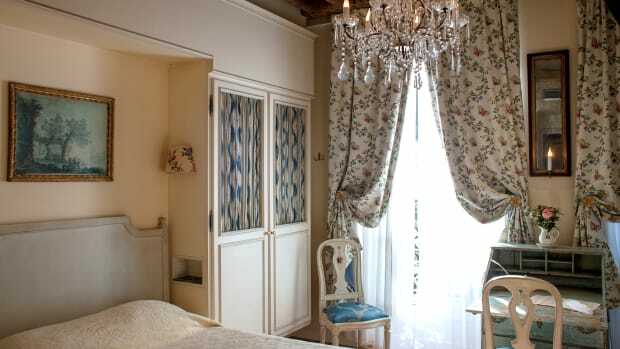 Sumptuously decorated with frescos and handblown glass chandeliers, this generous pad sleeps up to six. Did we mention the canal views? Within easy walking distance of St. Mark’s Square and the Rialto Bridge, you can enjoy the nearby bars and restaurants, or buy fresh produce and seafood at the local markets to cook at home. For a more affordable option, this cozy attic apartment that sleeps two or three is also centrally located. Enjoy panoramas of the Grand Canal from your rooftop terrace, away from the crowds. At $179 a night, that view is a steal. Ah, Barcelona—home of Gaudi’s most fantastical creations including the Sagrada Familia church, a maze-like Medieval Gothic quarter, and a thriving restaurant and party scene. 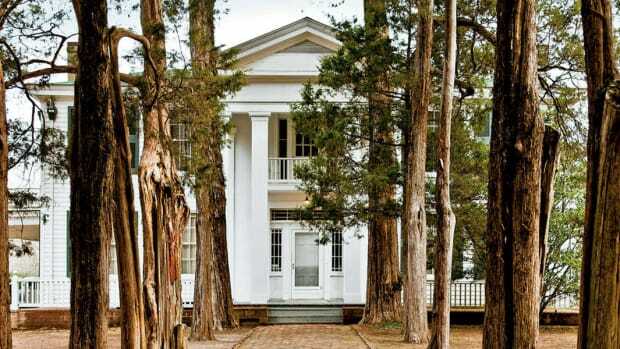 We were hard-pressed to pick just one rental because there are so many affordable options. But this light and spacious beauty that sleeps up to eight for $214 a night is too good to pass up. And the open living and kitchen area is perfect for throwing your own dinner parties. Self-catering is a plus for those of us who are used to eating earlier than the Spanish—most restaurants won’t open until 9 p.m., and even that is considered early for dinner. 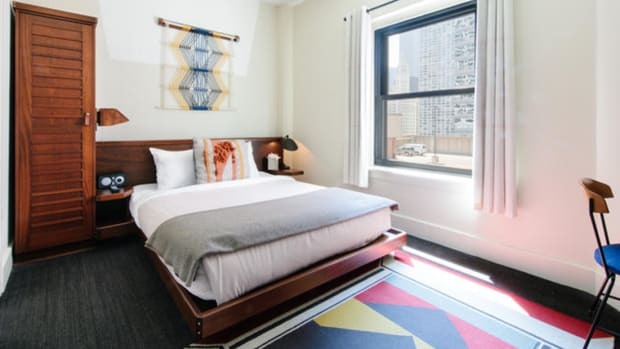 If you’re visiting with a smaller group and looking for something more affordable, this newly renovated two-bedroom is a gem for vintage lovers ($108 a night, for four). 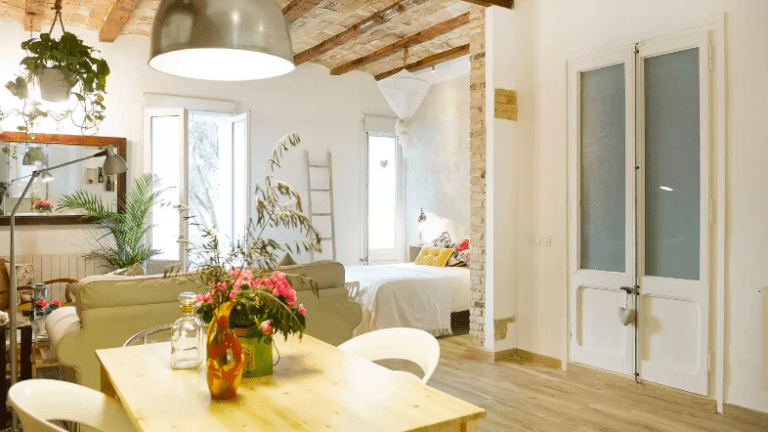 Meanwhile, this one-bedroom ($113 a night, for two) located in the historic Gothic quarter is decorated in a typical Barcelona palette of whites with splashes of bright colors. Complete with a writing desk, this flat is perfect for intellectuals and fans of early twentieth-century artists such as Picasso and Matisse. 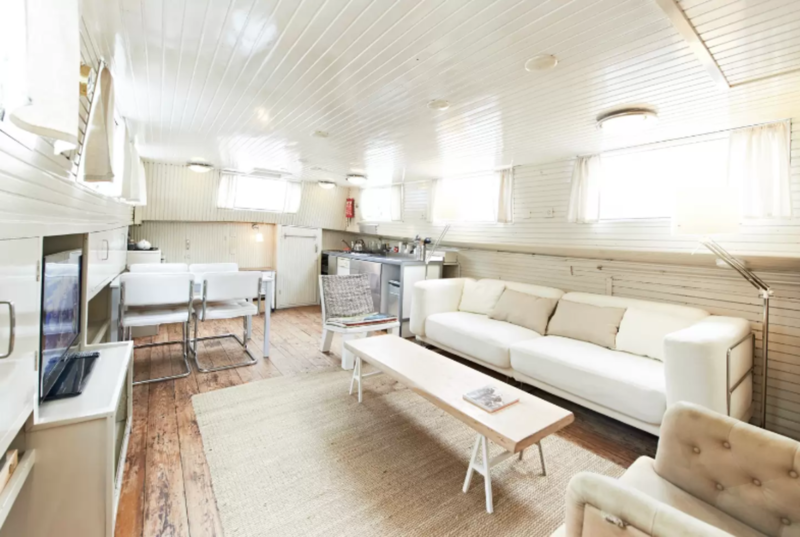 This beautifully renovated old house boat is surely the ultimate Amsterdam bolt-hole. Moored on the canal near Amsterdam’s Opera House, it’s both central enough that all the major attractions are within walking distance, and yet removed enough from the action to be a peaceful place to rest after a busy morning visiting the city’s many museums and art galleries. With two bedrooms and a fully stocked (if compact) kitchen, you can enjoy all the comforts of a small apartment—only, from a much more exciting perspective. You’ll have your own sun deck on board, too, with views of the city and the Amstel river. 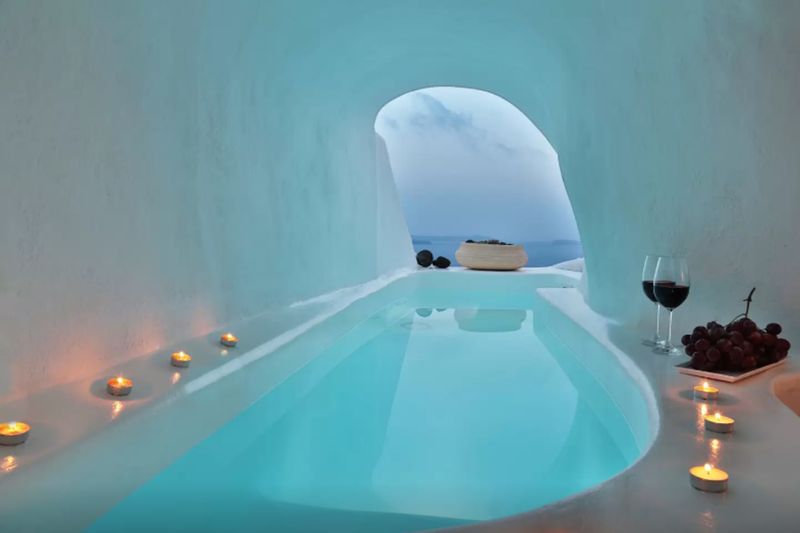 On the pricier side, this breathtaking converted lava cave on the glamorous island of Santorini is the ultimate place to stay when visiting Greece and well worth splurging on. Complete with its own jacuzzi and private veranda overlooking the region&apos;s iconic whitewashed buildings, volcanic cliffs, and sparkling blue waters, it has all the modern amenities you need decorated with minimalist simplicity. According to the owners, this suite used to be a sailor’s home back in 1875. 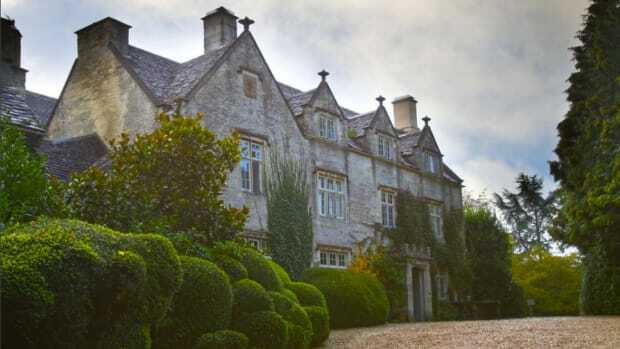 The curved walls are steeped in history while having been carefully restored. With a king and a sofa bed, this apartment would be a cozy alcove for three friends or a romantic getaway for a couple. Prague is one of the cultural highlights of Europe, replete with colorful Baroque buildings, Gothic churches, and some of the best monk-brewed beer in Europe. 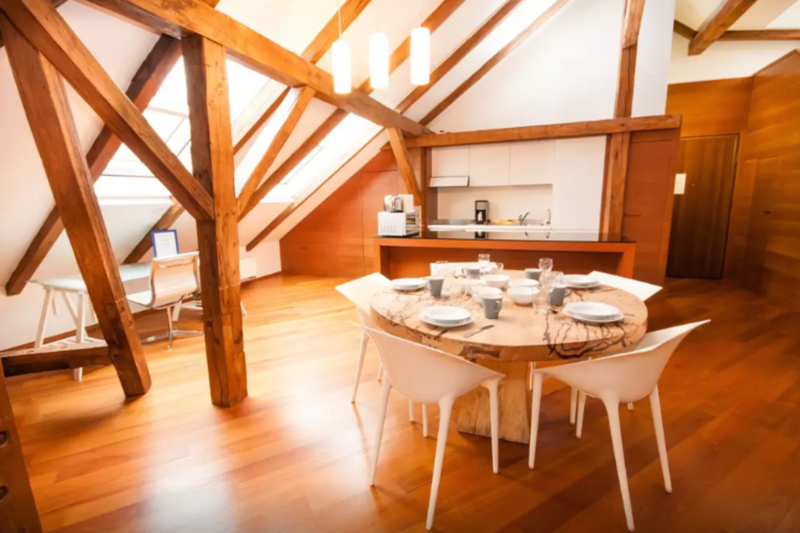 This spacious wooden loft has a large terrace from which you can get fantastic views of the city. It is part of a newly renovated turn-of-the-century building near the river and a 15 minute walk away from charming Old Town Prague. 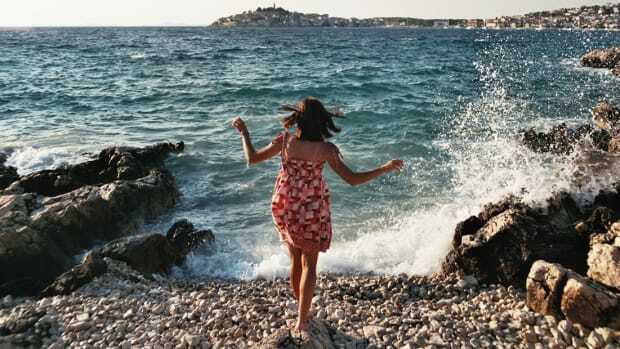 Croatia is one of Europe’s lesser-known gems; cheaper and less crowded than Italy, it has a glorious Mediterranean climate and a stunning landscape, and it’s brimming with interesting history, making it a brilliant holiday destination for the savvy traveler. 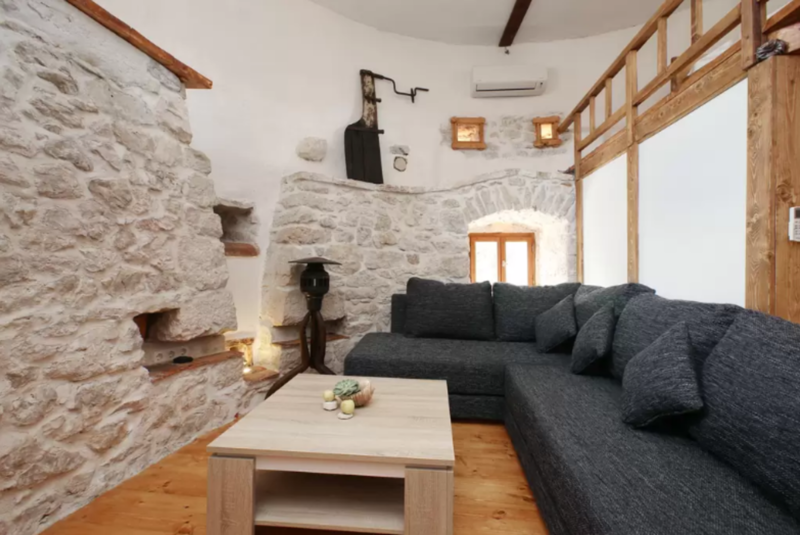 Nestled on the island of Hvar in the turquoise Adriatic Sea, this stunning converted windmill was originally built by local Franciscan monks in 1761, and has been lovingly restored to a high standard. Hvar is one of several islands off the coast of mainland Croatia, and the old port town boasts thirteenth-century walls and a hilltop fortress. This unique tower is just a few minutes walk away from Hvar’s historic town square, and has private parking and a private garden. Explore the island’s beautiful lavender fields, or take a boat trip to the nearby Pakleni Islands to enjoy a secluded beach. 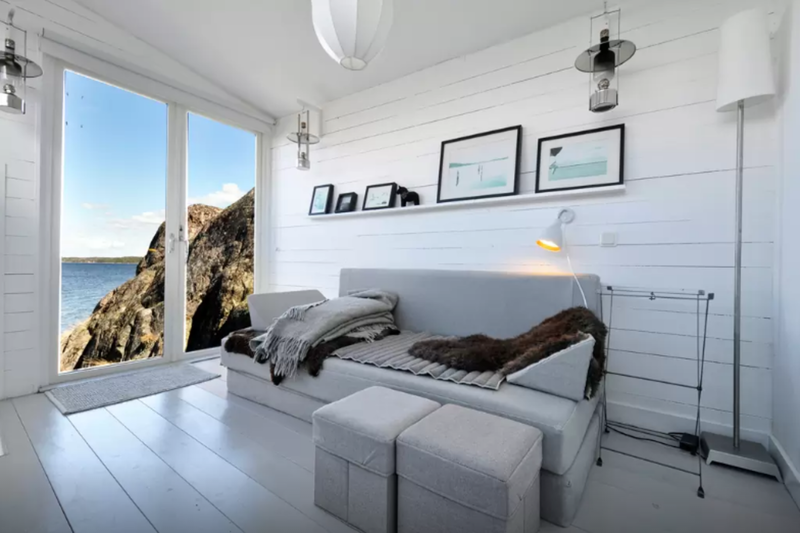 You can’t get much more Scandinavian than this stunning Swedish seaside cottage. On an isolated island accessible only by boat but within reach of Stockholm, you’ll enjoy your own private seafront deck, access to a shared sauna, and the opportunity to disconnect for a week to enjoy the peace and quiet of being at one with nature. The owner lives in a nearby cottage, and there’s a boat available to rent so that you can explore the crystal coastline. This airy haven full of light and ocean views has us daydreaming about our next summer retreat. Be warned: Wanderlust will ensue. You don’t have to leave town for a refreshing break this summer.